When one or more of your Chakras are blocked or out of balance, it can be one of your first clues to an impending health problem. It can also be one of the first places to start when it comes to healing. 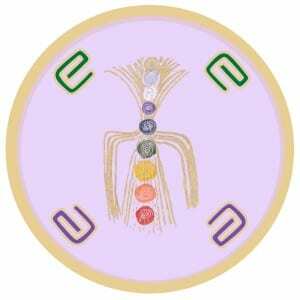 When I first learned about this I was skeptical, but as I learned more about energy, it became clear to me why an out of balance or blocked Chakra is giving us our first indication of an impending health challenge. As you experience life you unconsciously interpret the things you are taught, the actions your parents take, the scolding you received or an incident that you observed. In each case you may unconsciously shut down one or more Chakras as a way of protecting your energy. In most cases the energy opens back up shortly after the incident. Yet, over time, if you experience similar issues that create a pattern you end up keeping the Chakra(s) closed down longer and longer, until there comes a time that you don’t allow that area to be open any more, without a conscious effort to do so. All of this, of course, is not something you are consciously aware of, much less aware of the long term impact. The best example of this, is represented in the fact that Cardiovascular Disease is the leading cause of premature deaths in the world. As a child, when you felt as though your parents didn’t love you because you were constantly told that you didn’t do something right, or could have done it better, you may have shut down your Heart Chakra, in particular if for you this made you feel unloved, unlovable, or not good enough. You may also have felt abandoned. In each of these cases, it is most likely that you would shut down your Heart Chakra. If on the other hand you felt unsupported, you might have shut down your Root Chakra, which is the center for support. Continuing with the assumption that you felt unloved during those time, you would have shut down your heart and each time that you did, you would have shut it down longer and longer, until you closed off some part of you, so that you could not longer be hurt. You might have eventually been hurt in one or more relationship, continuing subconsciously to prove that you aren’t loved or lovable, while shutting off your Heart Chakra energy even more. Eventually, because your Heart Chakra is not receiving the supportive energy that it needs, you start having more relationship problem, whether they are love relationships or business relationships and it’s all related to your shutdown Heart Chakra. The problem doesn’t stop there though, because over time due to lack of energy feeding your Heart it is likely that you will manifest physical problems with your heart, by having a heart attack, your lungs by having asthma, shortness of breath or other breathing problem, or some ailment in another portion of your chest and upper body. 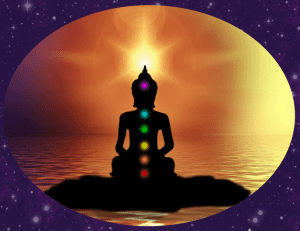 Each of your Chakras relate to both physical illness and success challenges in your life. Just by being aware of this and monitoring where your energy blocks are in your Chakras will give you a clue about why you are having the outcome you currently are experiencing as well as they can be a good prediction of your future if you continue to allow the energy to be blocked. Hold the palm of your non-dominant hand over the Chakra Opening and Balancing Krystagraph to the left. That’s all there is to tuning up your Chakras and getting the energy flowing. Once the energy is flowing again, you’ll want to address the underlying emotional issues and feelings that caused you to shutdown you Chakra(s) and you’ll also want to change any non-supportive beliefs related to the shutdown Chakra as well.